This article was updated on 08/29/18. 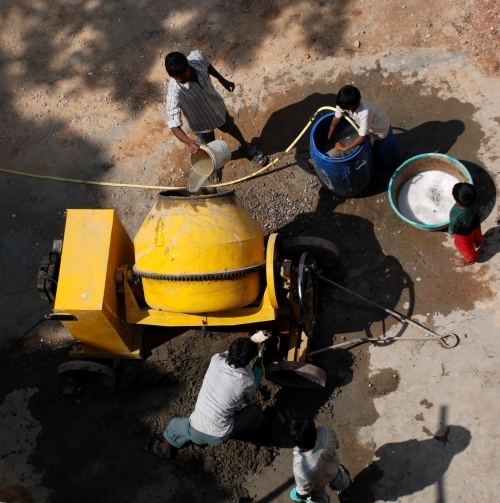 Deciding which premixed concrete blend to use? 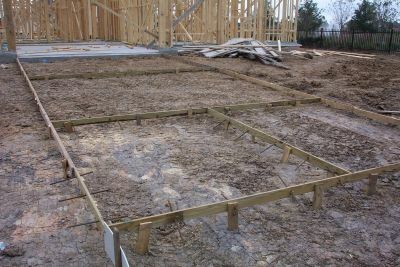 There are differences between general purpose premixed, fiber-reinforced, counter top concrete, and fast-setting concrete and this DIY guide to types of concrete is here to help you to decide. Concrete is one of the building materials that revolutionized the construction industry, yet its so common that it often doesnt get the respect it deserves. This is understandable  its everywhere! Its underfoot in homes and offices; it permits vast highway systems. Even concrete counter tops are showing up in upscale homes! What most people dont know is how many types of concrete formulations there are. This article will examine some of the most common ones. Many people confuse the two terms concrete and cement. The two terms, like drywall and sheetrock, are used interchangeably. The fact is that cement is an ingredient of concrete. Most commonly, concrete is a mixture of Portland cement, water, and the aggregates: sand and gravel. The exact blend varies depending on purpose. Fortunately for the DIY types out there, manufacturers have mixed and bagged formulations of concrete (minus the water) for specific types of home improvement projects. Concrete is available for larger projects by renting portable cement mixers from home improvement stores and tool rental outlets. DIY projects such as porches and patios are good candidates for portable concrete mixers. The wet concrete is poured into a concrete form and then finished. Which Type of Concrete to Use for which DIY Project? A DIY homeowner isnt going to use a concrete contractor for small projects so its important to know which type of concrete to use. The following list will explain which type is right for the weekend project. General purpose premixed concrete  This mix of Portland cement, gravel, and sand is generally rated at 4000 psi for compressive strength. This premixed concrete is ideal for building curbs, floors, sidewalks, patios, setting posts, and steps. Fiber-reinforced concrete mix  This blend adds reinforcing fibers to the sand and gravel aggregates. Where is this handy? In places where impact is expected. Places such as steps, walkways, and garage or shed floors are good examples of areas to use this concrete blend. Counter top concrete mix  This concrete mix is made especially for pouring concrete counter tops for kitchen counters. 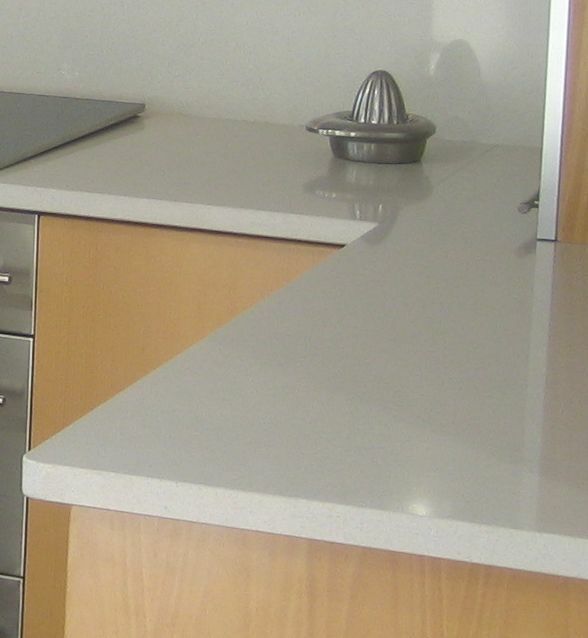 The concrete counter top has been rising in popularity and makes a fine DIY kitchen project. Since counter top concrete is a low moisture mix, a special proprietary additive has been added to it. It is also formulated to reduce shrinkage to minimize surface cracking while the concrete dries. It finishes off at about 5000 psi after a month. Fast-setting concrete mix  As the name implies, this product is quick to set! Does that mean working like a maniac? Absolutely not. This is for DIY projects that dont require a form, such as setting posts for decks, fence posts, mailboxes, and building swing sets. Simply dig the hole in the ground, pour in the concrete, fill it with water, and poke it around a bit. It sets in about half an hour. Its a good choice when the weather is questionable. These are some of the excellent choices of concrete mixes available to the DIY world. Manufacturers have responded to consumer needs. The concrete counter top is a great example of this. DIY concrete projects are not only fun, theyre easier than ever! A note of caution: if you choose to hire a concrete contractor for your project, follow the same vetting and hiring advice when hiring a roofing contractor. The earliest recorded large-scale users of concrete happen to be the ancient Romans. Concrete was commonly and widely used in the Roman Empire. The famous Colosseum located in Rome was constructed largely of concrete. Additionally, the concrete dome of the Pantheon is the worlds largest unreinforced concrete dome. Today, large commercial concrete structures such as dams and multi-storey car parks are usually made with reinforced concrete. Following the collapse of the Roman Empire, the use of concrete became quite rare until concrete technology was redeveloped. This occurred in the mid-18th century. Throughout the world, concrete has overtaken steel in tonnage of material used. Did you find this article helpful? Share it!